Dwyer Engineering Services Ltd is a family established business founded in 1990 by the present Managing Director Francis X. Dwyer CEng, Eur Ing, M.IEI. 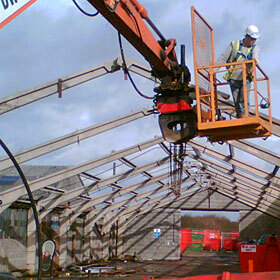 We are engaged in different sectors within the construction industry; from Civil Engineering/Groundworks, Building Construction, Building refurbishment and Commercial construction. Our Civil Engineering arm specialise in building foundations, drainage systems, groundworks, landscaping and minor roadworks. We are also an approved Local Authority street works contractor for public sewage connections. With our in-house skilled work force and subdivision; Plant & Machine we have sufficient resources to deliver projects up to £5 million on time with top quality finishes.